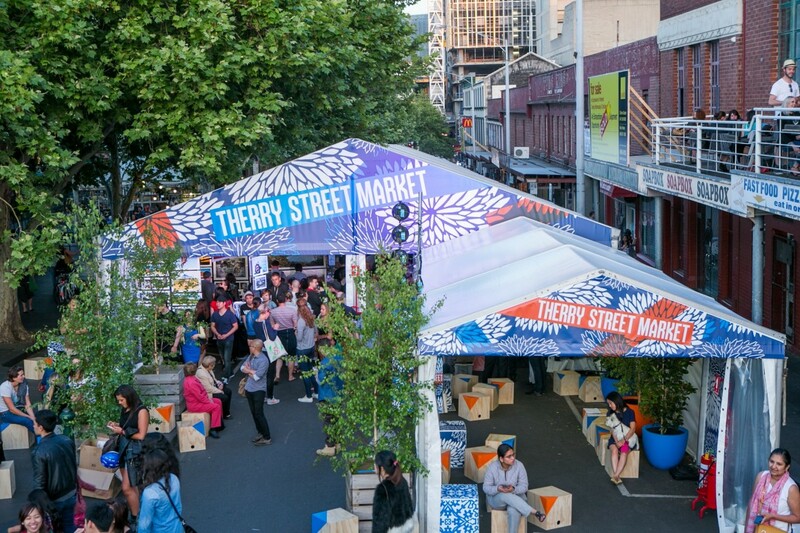 Therry Street Market was installed as a pop-up market space at Queen Victoria Market over two weeks from Wednesday 19 November 2014. 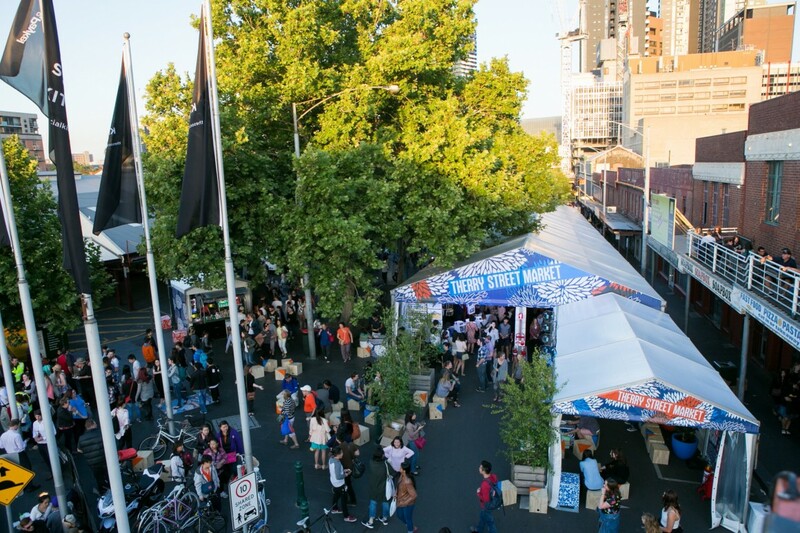 This temporary market was designed to house Queen Victoria Market traders who were displaced as a result of Melbourne Music Week. Over three weeks of planning, a streamlined design and implementation process was conducted in parallel with considered and ongoing trader consultation. The aim to ensure the temporary market satisfied all stakeholders and provided minimal disruption to the Queen Victoria Market Traders’ ongoing business.